Had the privileged to catch the Muppets the Monday that went by. 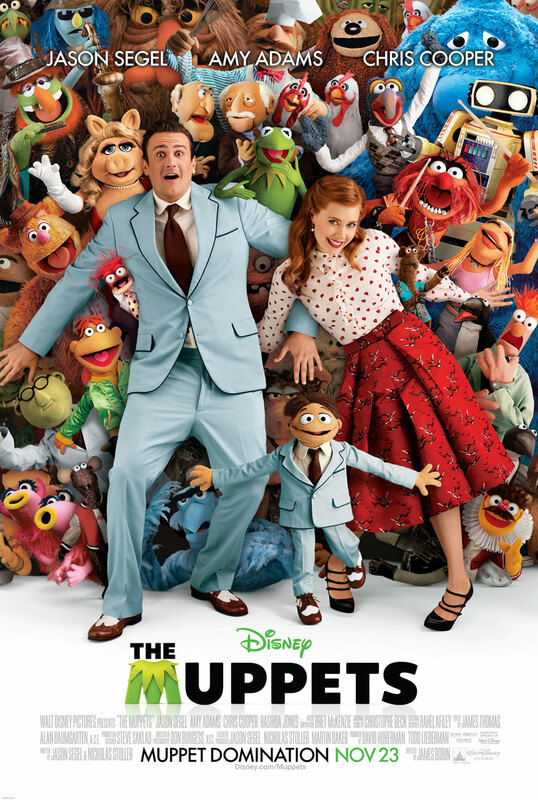 The movie's story revolves around a muppet named Walter (voiced by Peter Linz). Walter has a human family and is closest to his brother Gary (played by Jason Segel) and they grew up to become the best of buddies. Both are great fans of the Muppets, Walter especially. Gary has a girlfriend named Mary (played by Amy Adams) and upon having their 10th Anniversary upcoming, Gary and Mary decided to spend it by going on a vacation to Los Angeles. However, Gary decided to ask Walter to tag along so that he can visit the Muppet Theater. This makes Mary uneasy as she feels that Gary pays more attention to Walter more than her. When they visited the Muppet Theater, they saw that it was rundown and the Muppets don't seem to be together anymore and neither does anybody care about the Muppets. Out of adoration for the Kermit the Frog, Walter snuck into his office to peek around. During his subterfuge move, he discovered that Tex Richman (played by Chris Cooper) is buying over the Muppet Theater under the pretext that he's gonna build a museum of the Muppets but in reality, he's just interested in the oil that is contained underneath the Muppet Theater and the only way the Muppets can repurchased back the Theater is by raising $10 Million dollars before a certain period of time. 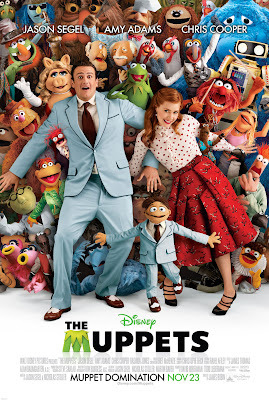 Out of shock, Walter explains to Gary and Mary and tries to save the theater by seeking Kermit the Frog for help. After managing to locate and convince Kermit the Frog, they went all over to gather back the old gang and try to raise $10 million dollars by putting on a show again with a very limited time. Will they succeed in getting back the theater? Watch to find out! This show to me may bring back memories but then, it makes me feel old rather than being a kid again. It may not be so worth the watch to me hence I give it 2.5 stars out of 5.
became humorous and good fun.